The way that Google recommend you do this is by using CardDav. 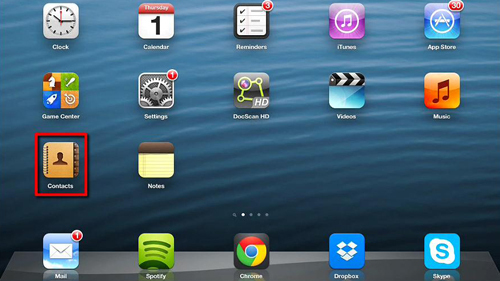 First you need to touch “Settings” on your iPad, then from the menu on the left touch “Mail, Contacts, Calendars”. 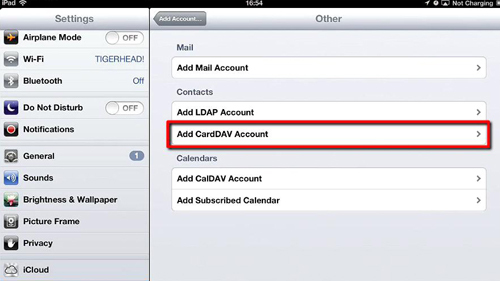 On the right touch “Add Account” and then “Other” then touch the “Add CardDAV Account” option. 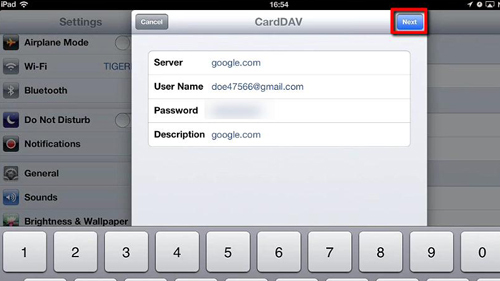 Into the “Sever” field enter “google.com”, then enter your full Google account username and password. Touch “Next” in the top right of the window. Assuming that you entered your details correctly tick marks will appear to the right of the fields and the window will close. Press the home button to return to the homescreen and then touch “Contacts”. The application will open and you will see that all of your contacts from your Google Account will have been brought into the iPad. That is the simple process for sync gmail contacts with iPad.